This was the first sentence Mike Runco, co-owner of Nancy B’s Bakery in West Homestead, said as I stepped inside the bakery. Runco co-owns the establishment with his mother, Nancy. 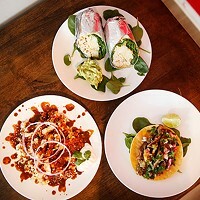 Nancy B’s is one of Pittsburgh’s (many) hidden gems. The bakery is easy to pass by, tucked underneath a bland brick building that disappears into the West Homestead background. But even standing on the front porch you can smell the cookies. The aroma of chocolate chips floats from the bakery walls. It felt like stepping into someone’s home. When they first moved, Runco and his mother would sit in lawn chairs and wait for customers. They made everything from spaghetti to cookies to pepperoni rolls in order to keep the business afloat. Runco admits he even would have changed the oil in customer’s car. Then, they put a chocolate chip cookie on the menu. Nancy B’s chocolate chip cookies are world famous, and for a good reason. The cookies are massive — crispy on the outside and soft on the inside with just a touch of peanut butter. The cookies are never more than two hours old. Runco and his team bake throughout the day. Nancy never wanted a chocolate chip cookie on the menu. The recipe came from an in-house competition. The staff, composed mainly of older, traditional Italian bakers, created 10 recipes. The winning recipe is served to this day. 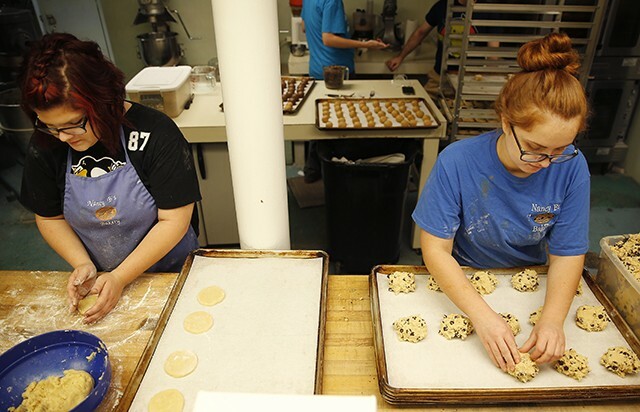 Sara Mesko and Summer Wood prepare cookies inside Nancy B’s. 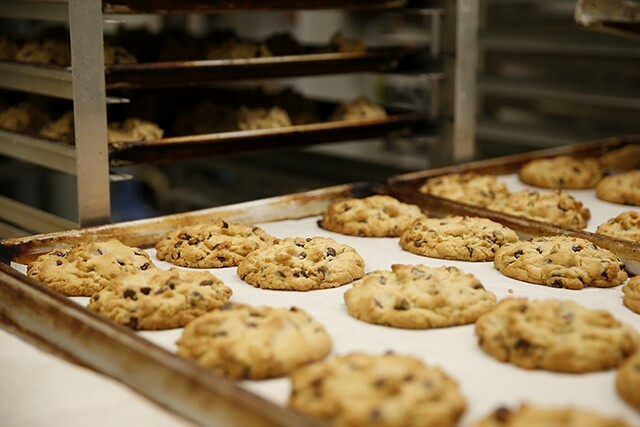 On average, the bakery sells about 250 dozen chocolate chip cookies a day. On Thursdays and Fridays, that number can rise to 475 dozen. At close, Runco and his team are left with only two dozen cookies to spare. “I haven’t had to put out an ad in 26 years. If I did, I’d have to sleep here,” chuckled Runco. The cookies are delicious, but Runco credits the chocolate chip craze to the community. For Runco, each sale is about the story. The bakery regularly ships cookies to troops overseas, to Australia, and is a favorite of many Steelers. Nancy B’s cookies have been to the Wailing Wall, Big Ben (the clock), and the North Pole. However, Runco and his mother plan to stay in West Homestead. As Runco says, "I don’t want to change for anyone.” He can’t imagine moving — especially since he still loves coming to work.